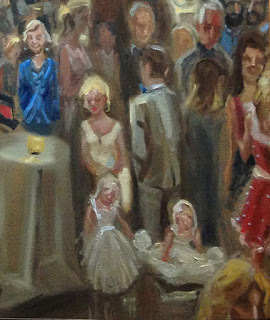 When I painted the holiday Jubilee at the WAC, I captured in the crowd a woman in a black and white chevron skirt. It was a bold print, and stood out clearly in the room, and in the painting. Someone recognized her in my scribbling, found her in another room at the party, and told her she was in my painting. She immediately came to see. 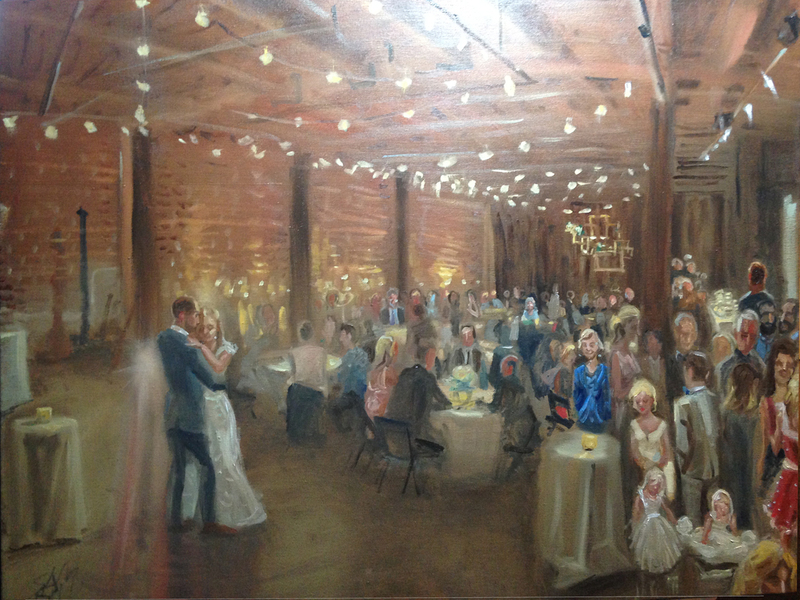 So, just a few months later, I painted her wedding. 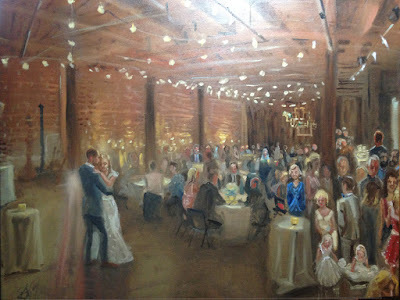 Abby and Ben’s reception was at Melrose Market Studios, a renovated former grocery in a red brick and Douglas fir timbered 1927 building. This is classic Seattle. It was a cozy family style affair, complete with darling blonde flower girls, dressed in white.